Welp, this was what it was. There's many, many, many clichéd horror films revolving around the common plot of a ghost hunting crew receiving more then they bargained for. 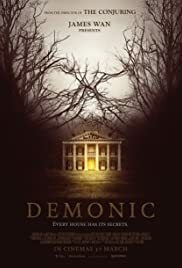 "Demonic", a horror film taking the said cliché head on, becoming something more then what it was expected. The acting of this movie was quite straight forward, not really giving anything shocking, or completely impacting. Honestly just was what it was, plain, and simple. The cinematography in this film was nice, but at points got a bit annoying. At some points in the movie, the camera shook, creating it a bit weird, in other words annoying to view the events of which were taking place. As for studio work; lighting, set, etc. It, as said before was what it was. It seemed a bit plain, being seen millions of times before, the same old set of an old haunted house. Even the little twist of set in this film; which won't be spoiled, it still felt clichéd, and seen many, many times before. The story of this film was, also, quite basic. The story of a ghost hunting team heading into a haunted house to document the strange events, a plot we've audience seen millions of times before, making that part clichéd .. highly. 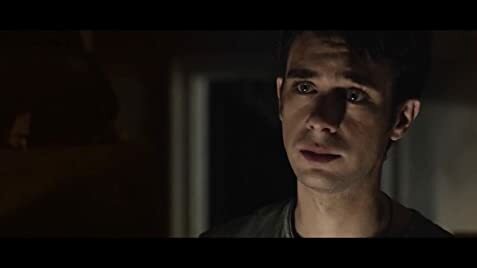 The film, though switched it up a bit, moving, and twisting the plot around a bit, delivering some shock, but not as much as it was more then likely intended to. I also felt as if the characters were plain, but for what they were, involving they're movie rolls, they're characters weren't bad. As said many times now, though, it was quite average, yet worked for the sake of this film. Finally, I feel as if the movie had some legit atmosphere, in this case, the movie had a creepy, dark feeling of which sent chills down my spine while watching this. Dark, old, unsettling atmosphere combined with some decent timed scares. It seemed unique, saying many times before, the movie having a highly clichéd setting, and plot. For what the movie executed, it had some well scares, as well as some great, creepy atmosphere of which set the mood simplistically. In conclusion, "Demonic" was considerably an attempt. It had a solid, creepy setting to it. But it doesn't beat the fact that this film took on a highly clichéd plot, making this movie nothing more then average. The movie, also, tried taking on a "large" twist, only leading to be average; "Meh". However, the movie was entertaining, gripping. But once more. It's very, very average. Nothing new whatsoever. I'd recommend it to those looking for a movie for the heck of it; Looking for something unique? Look elsewhere. This movie dose NOT deliver unique elements.